June 2018 Fire Brigade Soc visit to Deeside NWFRS. Volumax cab by Saxon. Saxon designed and fabricated this spacious full tilt crew cab. 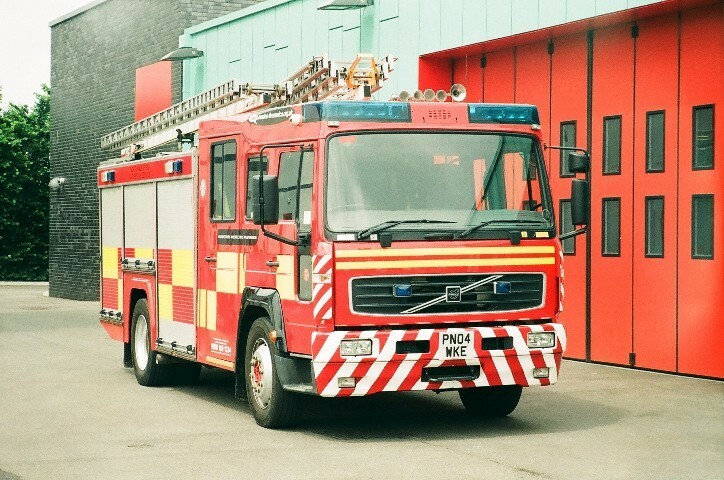 These were rather unusual, as most fire appliance builders who used the FL chassis kept the standard factory truck cab with a separate coach built fixed crew cab section behind it. The most numerous examples of this "split tilt" approach were the scores of pumps which were supplied to London, although of course many other brigades also bought Volvos at the same time. Added by Rob Johnson on 27 June 2018. By the way the body on this is by JDC. Saxon just did the cab as Rob describes. Added by Petros on 28 June 2018.